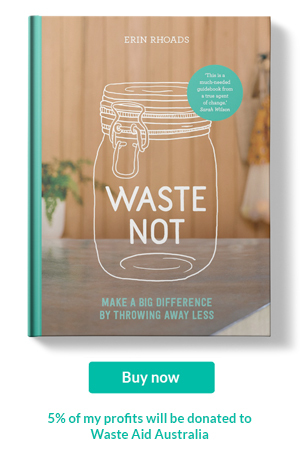 As I have navigated my way through this plastic free and zero waste lifestyle, one rule that has been a constant is looking after my things. Whatever it is, I care for it as if I'm going to own this item for life or be in good enough condition that if I passed it onto someone else, it would continue to look and function well. Luckily my mother taught me from a young age the importance on the regular polishing of my leather shoes to make them last. I have memories of sitting next to the fire, polishing my Clark school shoes. Those sessions of rubbing the polish on, followed by a brush, kept my shoes looking new and lasting a long time. To this day I have been an avid shoe polisher. My trusty Clark's have since been replaced by leather boots and when I pull them out each winter, I make sure to give them a polish. This past winter I ran out of my old store bought polish. No big deal because, shoe polish is easy to make at home. 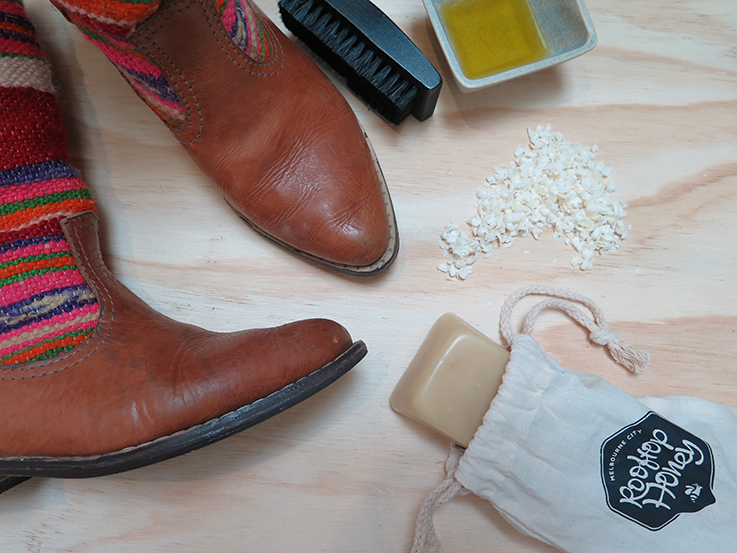 For my shoe polish, I use two ingredients; beeswax and olive oil. The beeswax adds protection, useful with frequent rain. Olive oil will condition the leather while adding some shine. I use beeswax from Melbourne City Rooftop Honey. They have bee hives located on the rooftops of Melbourne's buildings, in an effort to bring more honey bees back to the city. Companies and individuals can adopt or sponsor a hive, then collect the honey for use or is sold on. I purchased my block of beeswax from Melbournalia. It's wrapped in paper and comes in a calico bag. With a clean cloth, rub the shoe polish across the shoe, in circular motions. Let the shoe polish sit on the show for fifteen minutes. Then wipe off any excess. If you have a shoe polish brush, move it across the shoe. This can be kept for up to two years. 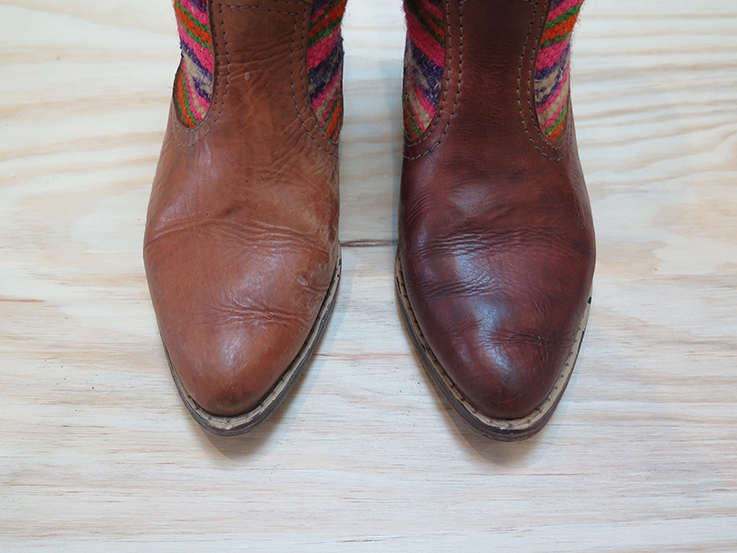 Below, you can see the boot on the right has been polished.